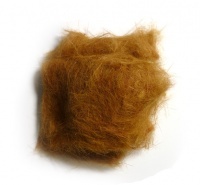 Rabbit Easy Dubbing is our superb in-house natural dubbing material. Made from a blend of soft rabbit underfurs. This easy dubbing material is perfect for dry fly dubbings and for forming caddis bodies.